Shoulder Pain Solved » Blog Archive » What Bed is BEST for Back Pain? Mike Westerdal: Dude, I hate hard mattresses. When you travel and you stay in a hotel and you get that soft squishy mattress and the pillow you just sink in to, when I wake up I feel great. But at home I’ve got a firmer mattress because I heard that’s better for your back and my wife likes it she feels great, but I wake up with a stiff back. Why do I feel better on a softer bed and she feels better on a harder bed? Rick Kaselj: It can be two things. That softer bed might be putting your spine in better alignment. And when it’s in better alignment there’s less stress that is being put on the spine. The second thing might be is each of our backs has a direction that it likes better. You might like bending forward or you might like arching your back. And with some people when they round out their back forward they have tightness in their back and there are some that say that it’s like they are stretching those muscles. And that stretching provides like an acute relief of that tension. Mike Westerdal: I feel that but I don’t want to stay in that position. But for me it’s like we just moved from chair to chair to chair. It’s like you drive to work you are sitting in your car chair. When you get to work you are sitting in your work chair. You go home for your dinner you are sitting in your dinner chair. You move over to your couch, you’re in your couch chair. Finally, you get to lie down at night and get straightened out. I’ve been crunched forward all day long in all of these different positions. I like to lie in my stomach. It feels like I am stretching the opposite way of what I have been all day long but I can’t sleep like that, but it just feels good. It feels like I wind up sleeping on my back for most of the night, though. Rick Kaselj: When it comes to lying on your stomach, it puts you in that position that you like, arching your back a little bit. And then moving onto your back (lying on your back) it puts you more in that flexed or bent position. Mike Westerdal: Is that the best position or is there one best way to sleep? 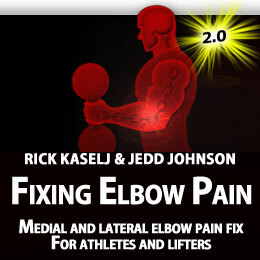 Rick Kaselj: I mean the best position is the one that puts your spine in the best alignment. It’s going to vary for people and it’s going to be different for people. Mike Westerdal: So what’s the most common one? Rick Kaselj: It depends if you are in pain right now or if you have an achy back. If you have pain right now, lie on your back with pillows underneath your legs because that’s going to put the lowest load on your spine. As soon as you’ve injured your back, your back can sense any kind of stress or forces on it so you want to decrease those forces. After you pass that let’s say a week or two and it’s kind of achy, it ends up being the best for you that alignment and depending on what your back likes. Some backs like bending forward and some backs like arching back. So lying on your stomach will give you more of an arching back so you get relief from that arching back, that’s why lying on your stomach gives you relief because throughout the day you are on flexion like bending forward. And also when you are lying on your stomach you are kind of going the opposite way so you are like countering what you’ve been doing all day. Mike Westerdal: You got to feel it out for yourself. Rick Kaselj: Yes, you got to feel it out. Mike Westerdal: Cool Rick, thanks. This entry was posted on Wednesday, August 28th, 2013 at 11:54 pm	and is filed under Uncategorized. You can follow any responses to this entry through the RSS 2.0 feed. You can leave a response, or trackback from your own site.